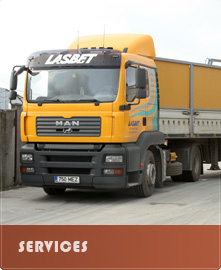 AS Lasbet is a public limited company based on private capital that was formed on the basis of the Tallinn Reinforced Concrete Products Factory. The Tallinn Reinforced Concrete Products Factory started operation in 1956. 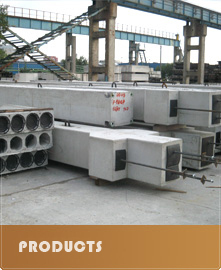 Since the first year of operation, the factory has manufactured a very wide range of concrete and reinforced concrete products and has delivered concrete mixtures. Since October 1989, the Tallinn Reinforced Concrete Products Factory operated as a leased enterprise. In 1993, the enterprise was given a new name – leased enterprise Lasbet. 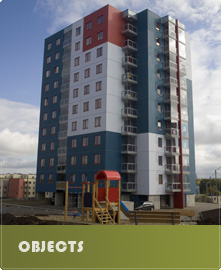 The selection of the name was based on two important key words – the location of the company at Lasnamäe and the word “concrete” (in Estonian “betoon”) describing the main activity. Read more about the history of Lasbet here..
A versatile product range from reinforced concrete piles to ceiling panels enables to supply with necessary construction details both big buildings and small houses. 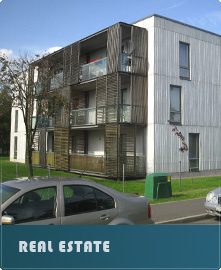 We offer the builders concrete mixtures together with transport and pumping. At the customer’s request we will organize the transport of concrete and reinforce concrete products on a construction site. We lease a loader excavator and a crane lorry. AS Lasbet Tootmine provides a transporter for the transport and mounting of concrete mixture (cubic content: 6m3, arrow: 24m, horizontal: 40m). AS Lasbet Tootmine leases a loader excavator JCB 4Cx with hydraulic hammer for the performance of excavation and earth moving works. AS Lasbet Tootmine provides mixers for the transport of concrete mixture (cubic content: 5m3, length of chute: 4.5m). Read more about the product and services of AS Lasbet Tootmine here..